Here's an end result well worth the effort of pursuing. 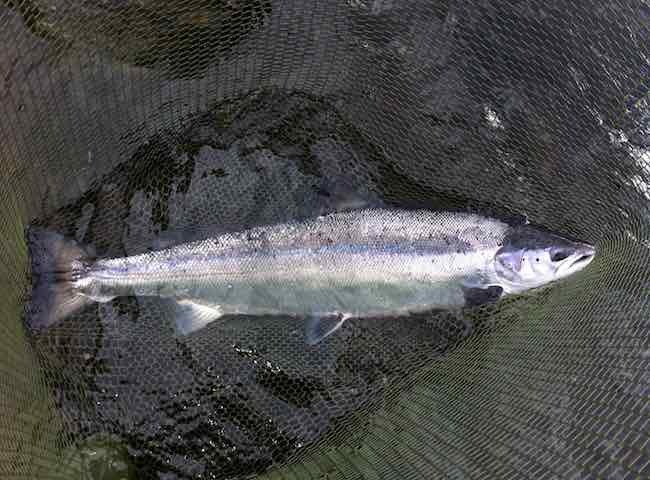 To capture a fresh run River Tay salmon on the fly rod is a fantastic achievment and one that will stay in your mind forever. 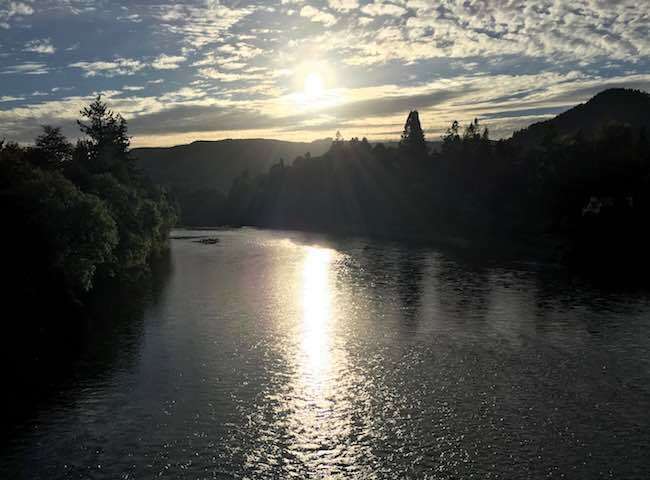 Here's a lovely evening shot of the River Tay which was taken from the 200 year old Telford Bridge. 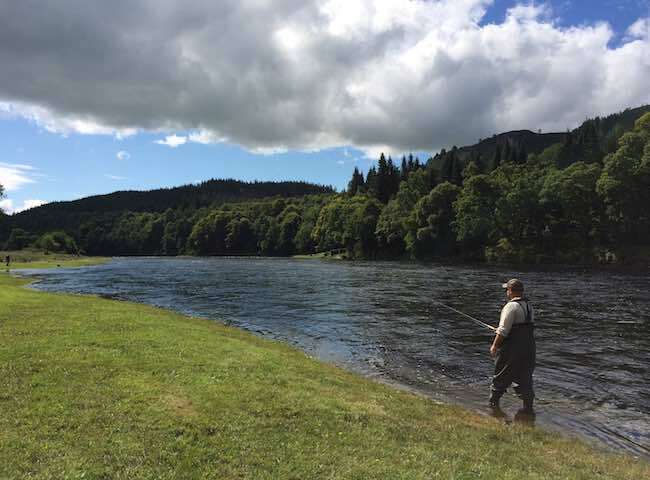 The entire Dunkeld area of the Tay makes a fantastic Scottish salmon fishing event proposition. 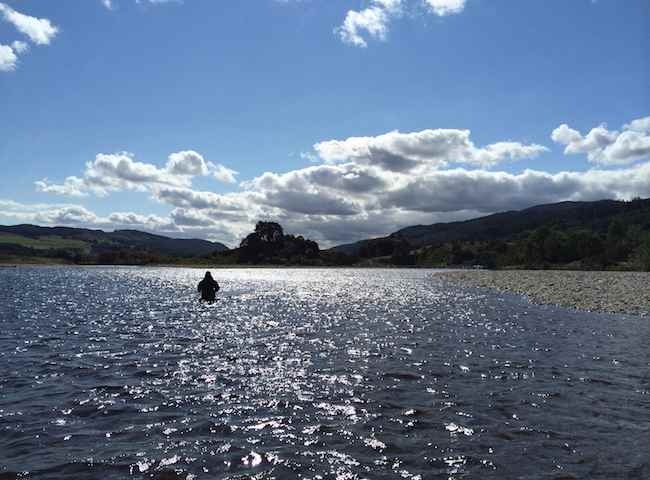 This shot speaks volumes regarding the magic that surrounds you while fishing Scotland's most famous salmon river. This shot was taken on the middle Tay near Dunkeld during July. 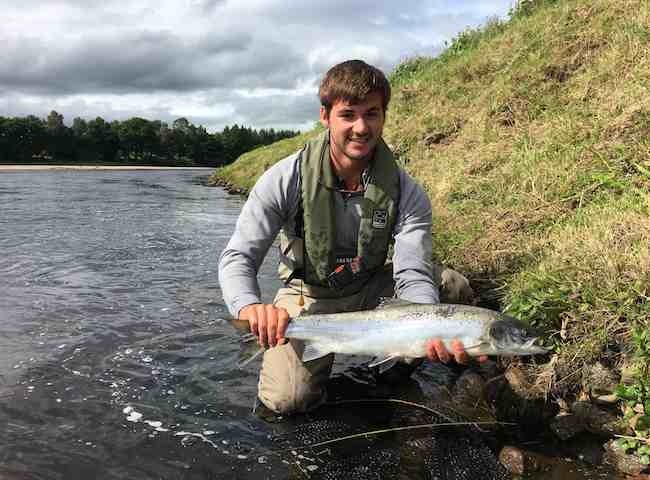 Book yourselves a carefully prepared exposure to the fine traditional Scottish pursuit of River Tay salmon fishing and add a fascinating dimension to your recreational lives. 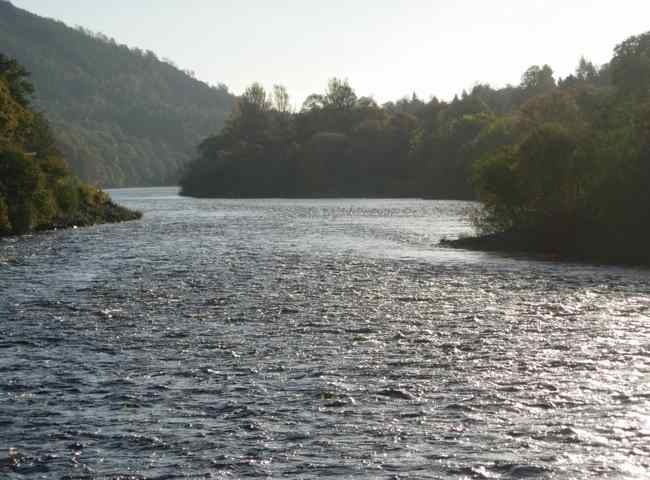 The Tay is Scotland's longest and deepest salmon river and always has sufficient water levels for salmon to run. 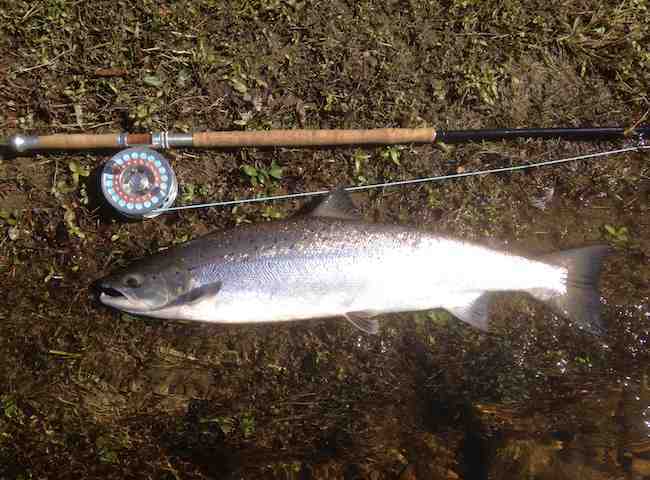 In addition to that fact the Tay fishes well through the entire Scottish fishing season. 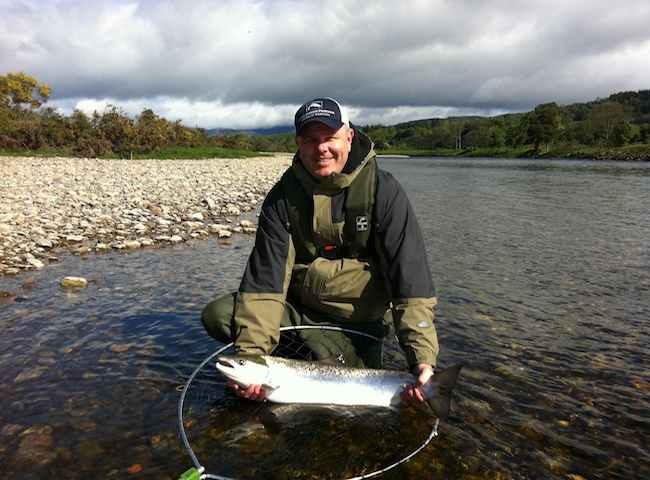 Taking a day's crash course in Scottish salmon fishing on an exploratory basis could easily lead you into to booking your own salmon fishing event for your key business colleagues. 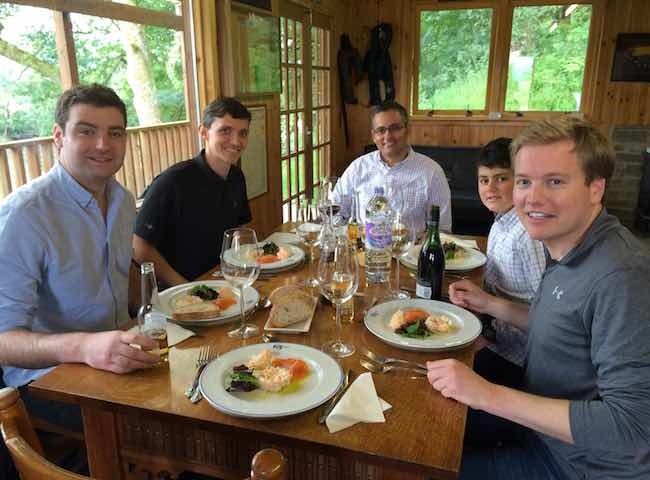 Great cuisine tastes even better when served in a luxury salmon fishing hut overlooking the famous River Tay. Treat your colleagues to something extra special this year. As far as global fly fishing is concerned nothing beats an encounter with a fresh run hard fighting Atlantic salmon as perfectly displayed in this pre-release photograph. 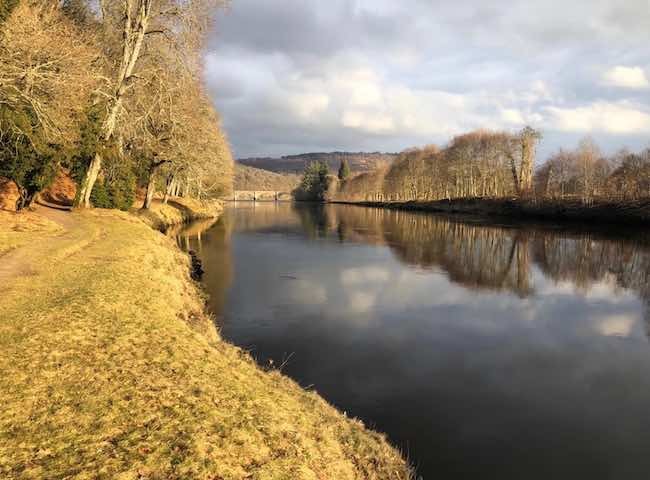 This lovely shot of the River Tay was taken looking downstream from the Telford Bridge at Dunkeld. This area of the Tay Valley most definitely has a special type of beauty surrounding it. 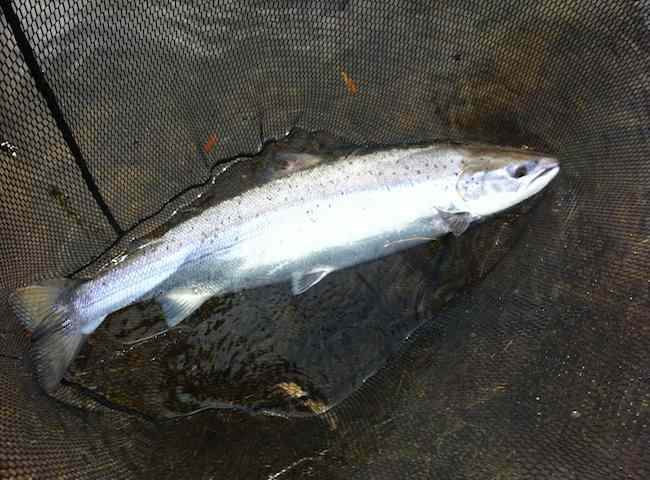 Here's another example of a fresh run fly caught Spring salmon from the River Tay which was caught during February. The exciting experience of catching one of these will become a permanent memory. Here's a lovely sunlit show of the gorgeous River Tay which was taken earlier this week. There's nothing that beats the perfect Tay river environment for a 'natural' day out of the office.